The United States Postal Service requires that you fill out the Postal Form 1583 before we can send or scan any mail. This form must be notarized and the original sent back to SBI with a photocopy of two forms of ID (Instructions). You then submit a Change of Address Forwarding Order to your local post office and contact the senders of your mail to notify them of your new mailing address. 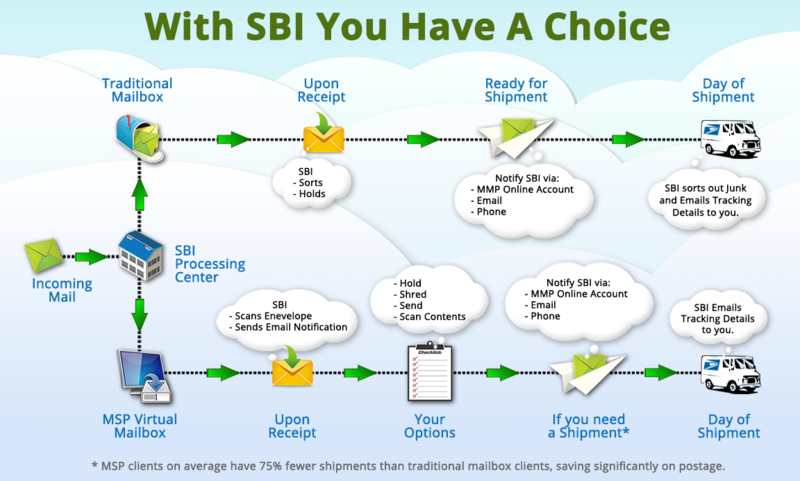 Shortly thereafter SBI will begin to receive your postal mail, medicine, and packages, and will hold until you request a shipment. If you subscribe to our Mail Scan Pro service we will scan your envelopes/packages upon receipt and send you an email notification. Prior to shipping you can have us shred all Junk Mail, shred Junk Mail except Travel and or Marine related advertisements or if you prefer we can send everything. (Presorted Standard, Non-Profit and Bulk Rate postage is considered Junk). Mail Scan Pro subscribers can view each envelope and decide what should be shredded. To Sign Up for our services we charge $100.00 to your credit card and then deposit into your account. Each month we debit your account the monthly service fees. If you have a shipment the actual USPS postage plus a $2.00 handling fee will be debited. When your account balance drops below $10.00 we recharge your credit card $100.00 and credit your account. All transactions can be viewed in detail via your secure Mail Manager Pro online account. Shipping requests can be made via our proprietary Mail Manager Pro online software, a phone call or an email. All requests received by noon EST will ship the same day. On the Shipment Day you will receive an email confirming your shipment details and all tracking information. When you no longer need our services your ending account balance is refunded in full.